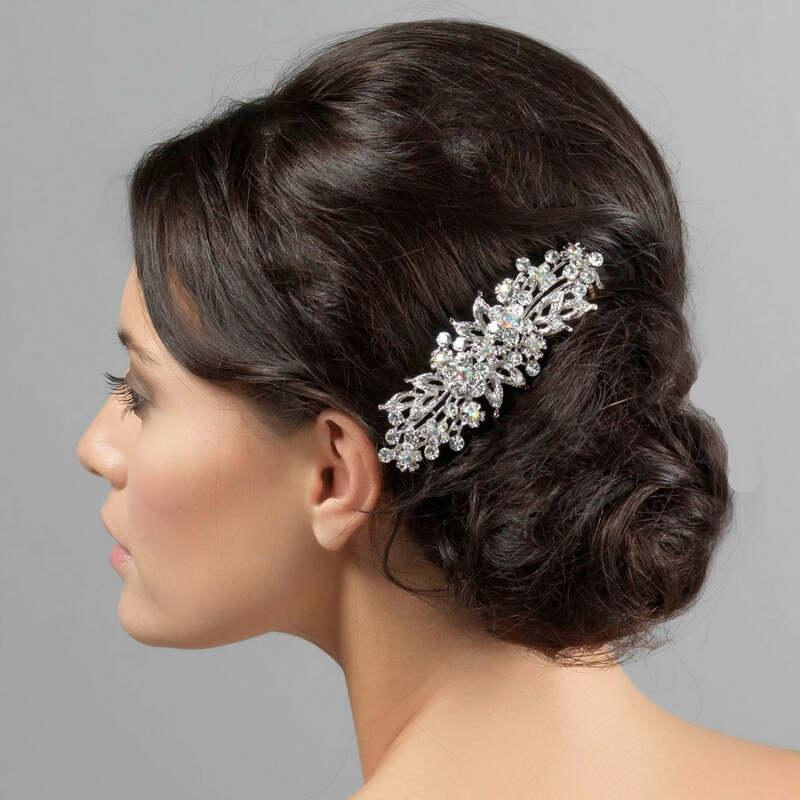 A favourite of many of our brides, this beautiful hair comb makes a romantic statement. Simply a statement piece, this extravagant large hair comb is just exquisite. Adorned with clear and AB crystals, the silver tone design features open leaves accentuated with crystal flowers. 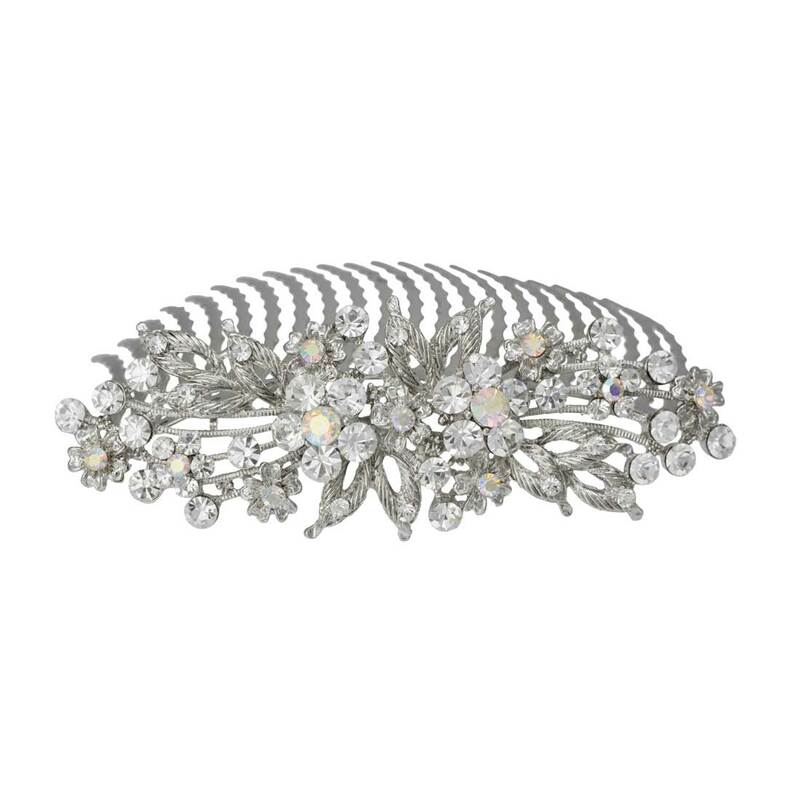 Bold and dramatic, this divine hair comb looks beautiful worn in a romantic loose chignon, alongside a French pleat or worn tiara style towards the back of the head for classic vintage style. For brides who adore statement wedding hair combs full of the charm of genuine vintage hair accessories, this is just fabulous. Been looking for a large hair comb and this is perfect. Enough sparkle to add a bit of bling without being over the top. Only problem is I have to wait until August to wear it!